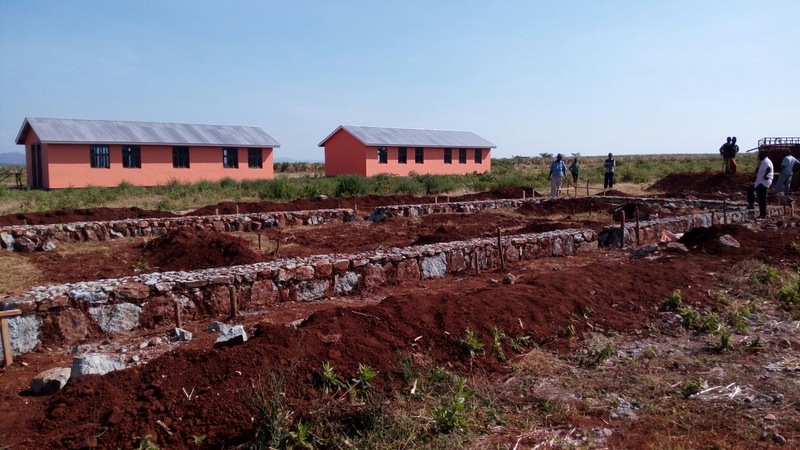 start of new 64 person Girls Dormitory complex in the Mufindi area, south of Iringa in southern Tanzania. 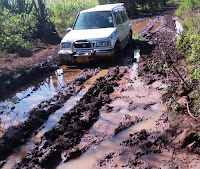 If you remember from our January 2016 blog post, we cancelled the official opening of our Classroom 5 and 6 project due to heavy rains that muddied the roads making them impassable. Well, since then, in the last five months, we initiated construction of the 7th and final classroom, and it is now complete. 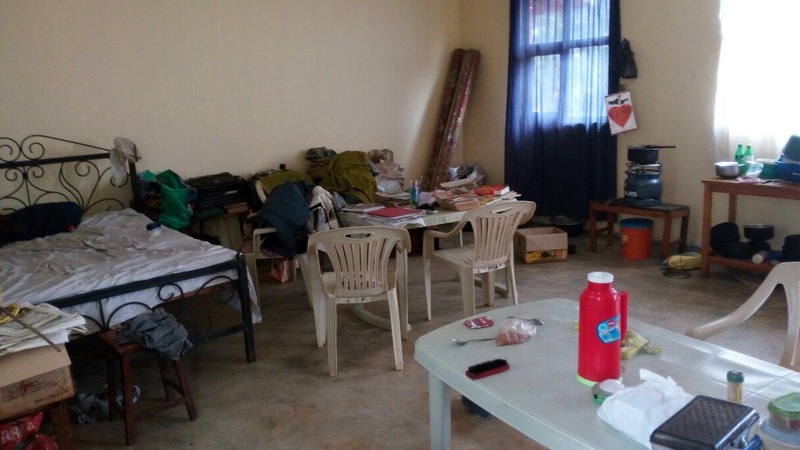 And we also initiated another badly needed teacher residence to get the two teacher families temporarily living in classrooms 5 and 6 out and into proper homes on site. 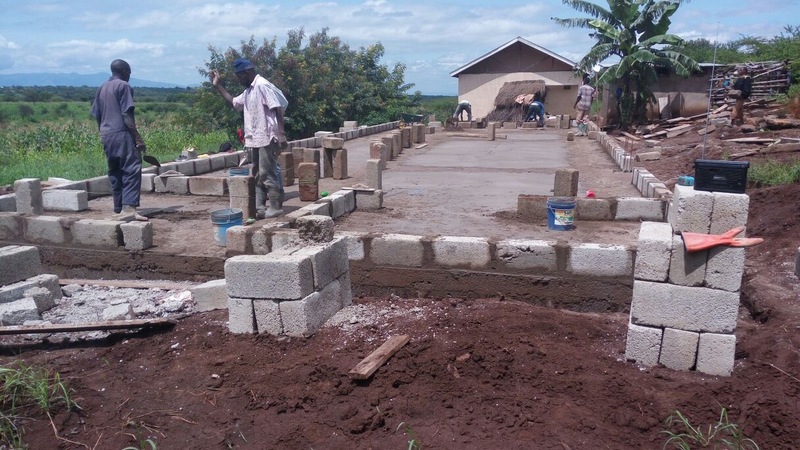 Our famed builder, Restus Sanka, endured a very wet spring that slowed down his construction progress of the residences. 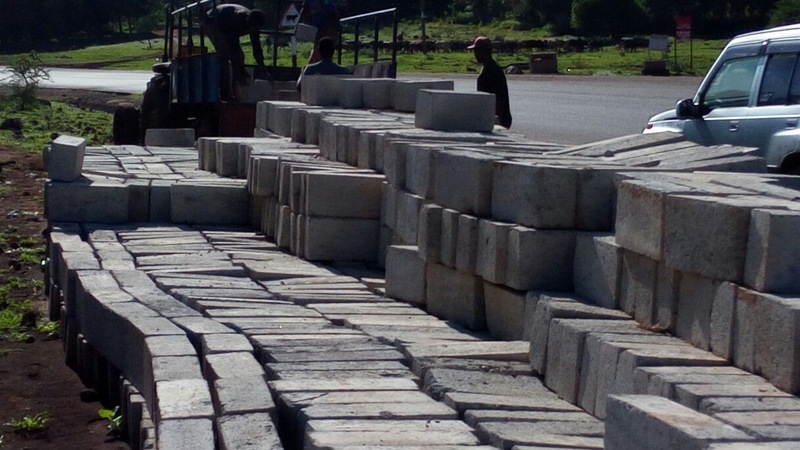 The 8 km road from the main highway to the school was impassably mudded, so all the concrete bricks had to be offloaded from the flatbed delivery trucks and left on the side of the road, requiring armed guards to protect from passing traffic possibly yielding to temptation. Eventually, the rains let up enough and construction continued. Not a big deal for Restus; these things happen all the time. When I get there on 29 June, the teacher residences will be complete, and we will have the official opening. Construction is complete on both buildings. This project is sponsored by the Royal Military College of Canada (RMC) Class of '70 alumni. Teachers are excited and ready to start classes next term. 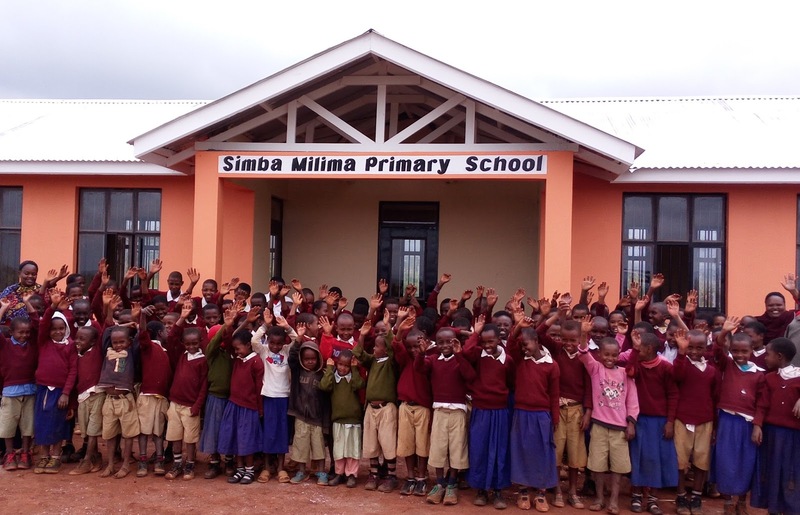 The official opening celebrations in two weeks will be attended by local officials and a large number of villagers. The first two buildings are complete and ready for classes. This project, sponsored by Safari Partners Inc of Vancouver, had the local villagers so excited, they managed to raise enough funds to start on a two family teacher residence building which they are now in the process of building themselves, but under the close supervision of Restus to ensure construction quality and proper siting according to our site masterplan layout. The heavy rains also took their toll on this project's schedule, muddying the access roads and washing out a small river crossing near the site. Apparently, according to Restus, the local government has since built a proper culverted roadway crossing. The rains eventually abated, materials got delivered to the site and construction resumed. 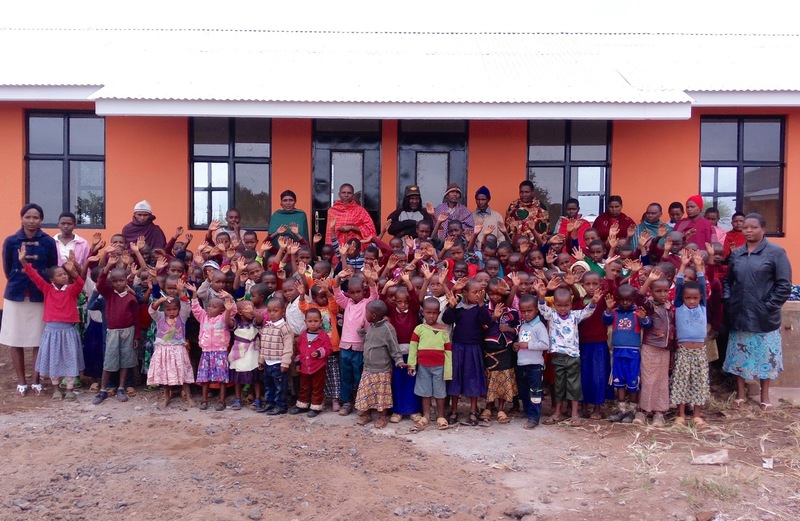 PSFA is pleased to be partnering with the African Book Box Society (ABB) from Victoria for the design and construction of this desperately needed facility in the tea farming region of Mufindi, south of Iringa in southern Tanzania. 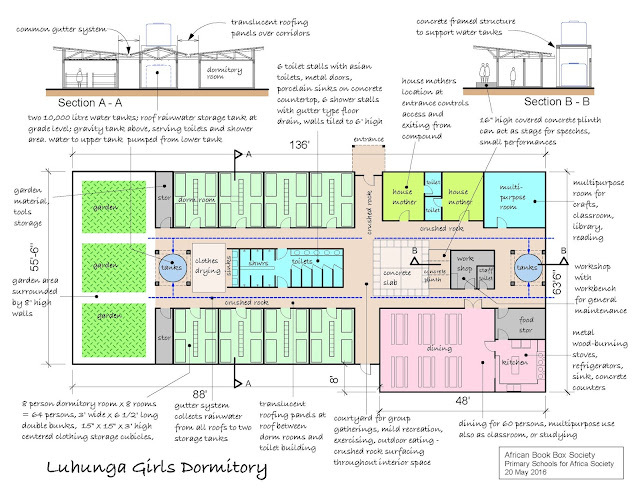 During their regular trips to Mufindi, African Book Box Society's Ruth James, Anne Pearson and Birgit Castledine of Victoria BC, became sympathetic to the village's concern to protect local girls from wayward migrant workers, and offered to sponsor construction of a dormitory complex. 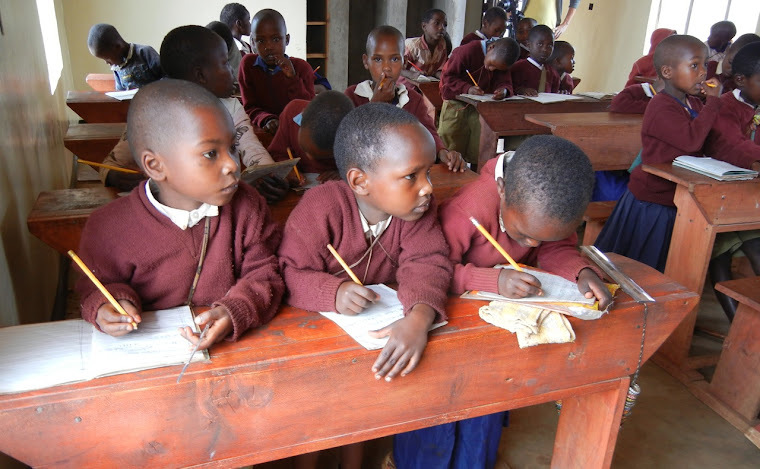 On their return to Victoria, they contacted Primary Schools For Africa to assist with the design and construction of the facility, and the project is now under way. 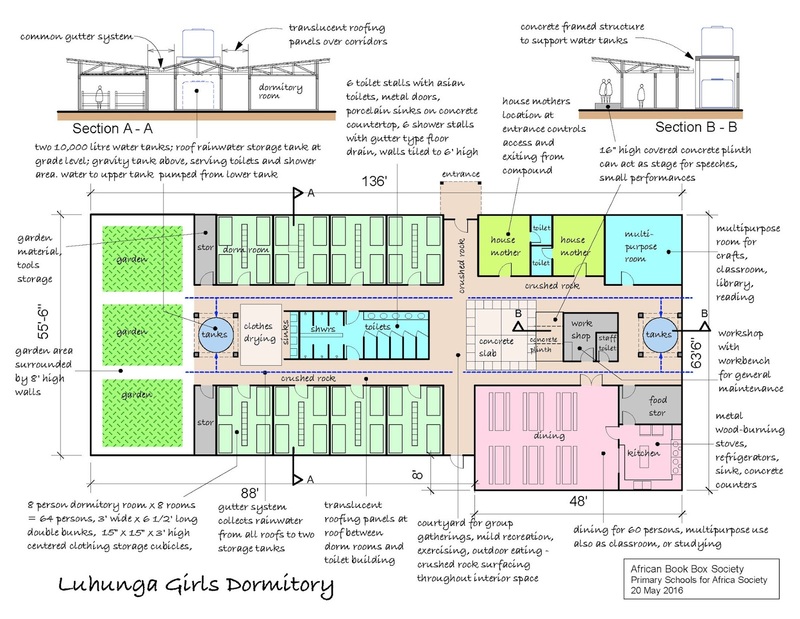 The facility includes dormitory rooms for 64 girls, toilet and shower facilities, kitchen and dining hall and a multipurpose room. 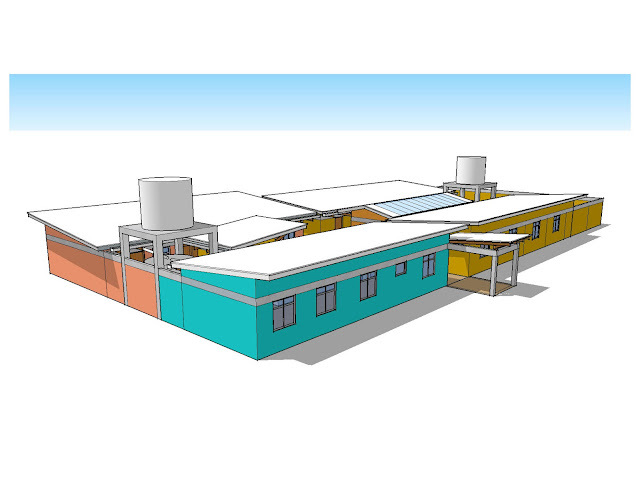 Sustainable features include collection of rainwater into elevated storage tanks, solar panel electricity, and possible roof mounted solar panel hot water boilers for the shower water. 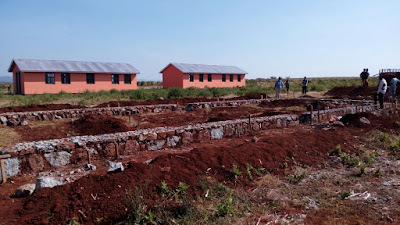 Alan will travel there with builder Restus to finalize the design and construction details with the locals assisted by an NGO, the Foxes organization, who have been in this area for a number of years, creating health and community building programs as well as construction projects. Foxes' Geoffrey Knight, administrator of the project, is promising an enthusiastic local welcoming. It seems you have been busy Alan! Good work... Looking forward to hearing all about it on your return. I was very good experience in the field of pipe threading machine manufacturers tools and worked in corporate builder. Any opening in your concern.